Fiji has long been known of the land of sunshine and thanks to an innovative new start-up company the country could soon be running on it. Making its mark as a leader in renewable energy, Sunergise is a rapidly growing business that is focused on supplying the corporate sector with renewable energy. The brainchild of Pacific and African entrepreneurs, Sunergise has attracted investment from Australia, New Zealand, China, North America and the World Bank. The Port of Denarau Marina had previously looked at installing solar but decided the undertaking was too difficult before Sunergise came along. Managing director of the Port of Denarau Marina Nigel Skeggs said that the marina was intrinsically linked to the environment and that it wanted to make a difference to climate change in any way they could. However installing a multi-million dollar solar system had just not been achievable. Thanks to Sunergise 700 photovoltaic cells were installed at the marina in 2012, however just two days later Cyclone Evan hit the coast with wind gusts of up to 270kph. Remarkably, only one solar panel was damaged. Since then, Sunergise has completed two more installations at Port Denarau, making it the world's largest marina-based solar plant. The Sunergise business model focuses on blue chip corporate clients, aiming to not only own but operate the infrastructure they install on their roof. According to the Sunergise chairman Bob Lyon, they sell energy not solar panels. 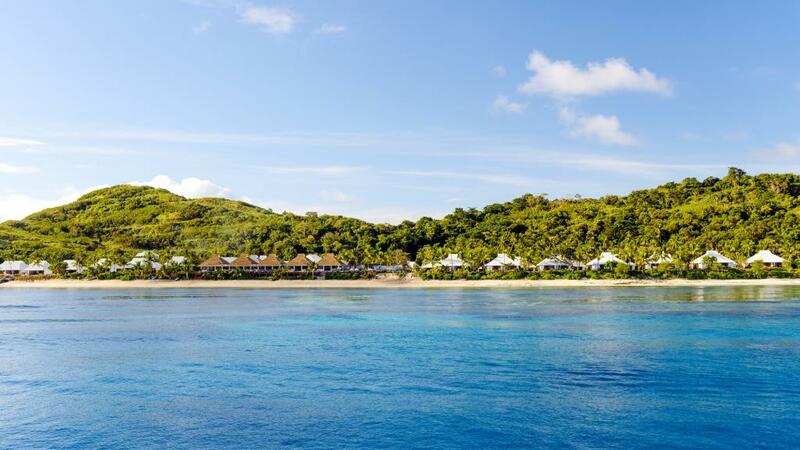 Tokoriki Island Resort is one of the top hotels in Fiji and is also a client of Sunergise, using the solar power technology to silence their costly diesel generators and cut their power bill by half. The private sector arm of the World Bank's International Finance Corporation decided on a 20 per cent stake in Sunergise due to the skills of its people, a fairly high risk according to Gavin Murray, the IFC's Fiji country director. A risk that is proving to be worth it, it seems. The advisory board of Sunergise includes illustrious renewable energy names such as former Greenpeace campaign manager Danny Kennedy and American filmmaker Chris Paine, known for his documentary Who Killed the Electric Car?